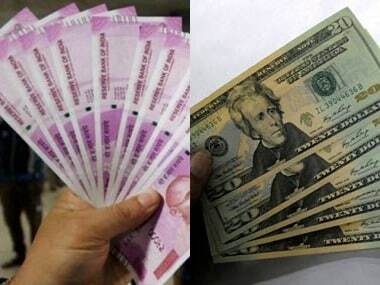 Mumbai: The rupee on Friday declined by 12 paise to close at 68.95 against the US dollar on rise in demand for the greenback from importers and sell-off in domestic equities. Besides, strengthening of the greenback against key currencies and rising crude oil prices in the international market also kept the rupee under pressure. At the Interbank Foreign Exchange (forex) market, the domestic unit opened at 68.60. The local unit moved in a range of 69.10 to 68.53 before finally ending at 68.95, a drop of 12 paise over its previous close. 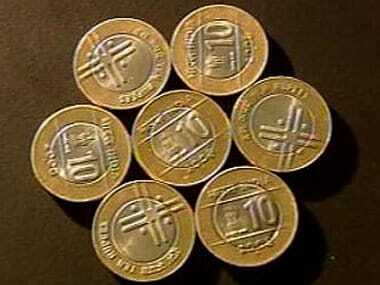 The Indian currency had gained 13 paise to close at 68.83 on Wednesday. Forex market was closed on Thursday on account of Holi. However, the domestic currency has gained 15 paise during the week. This is also the sixth consecutive week of gains for the local unit. The dollar index, which gauges the greenback's strength against a basket of six currencies, rose 0.18 percent to 96.66. "The Indian rupee depreciated nearly 50 paise from the morning high, after state-run banks purchased dollars on behalf of Importers ahead of RBI's Forex swap, scheduled on Monday," said V K Sharma, Head PCG & Capital Markets Strategy, HDFC Securities. Analysts said despite fall in the rupee, it still remains the "best performing emerging market currency over last one month gaining over 3 percent". Brent crude futures, the global oil benchmark, was trading 1.05 percent lower at $67.15 per barrel. "The dollar rallied against nearly all of its Group-of-10 peers and reversed most losses incurred following the Federal Reserve's dovish surprise. The biggest gains in greenback came against the Euro, which plunged 0.62 percent to $1.1305 after weaker than expected PMI data from European nations," Sharma said. Foreign institutional investors (FIIs) remained net buyers in the capital markets, putting in Rs 1,374.57 crore on a net basis Friday, as per provisional data. Snapping its eight-day winning streak, the BSE benchmark Sensex declined by over 222 points on Friday to end at 38,164.61. On similar lines, the NSE Nifty shed 64.15 points, or 0.56 percent, to finish at 11,456.90. The Financial Benchmark India Private Ltd (FBIL) set the reference rate for the rupee/dollar at 68.6607 and for rupee/euro at 78.1368. The reference rate for rupee/British pound was fixed at 90.2778 and for rupee/100 Japanese yen at 61.97.